﻿ This Diwali thinks beyond, gift something handcrafted to loved ones. May the festival of lights fulfil your wishes and bestow you with happiness and prosperity. The most awaited festival of the year, Diwali is here and the atmosphere is filled with the spirit of love and mirth. 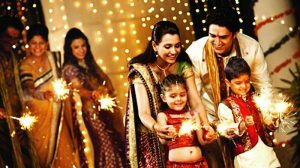 Diwali is the time to take a short break from your daily routine and spend some quality time with family. The celebration of Diwali continues for five days, start with Dhanteras and end on Bhai Duj. All five days of the celebration of Diwali dignifies a special meaning. These five days of Diwali gives us the chance to get together with family and friends for boisterous celebrations. 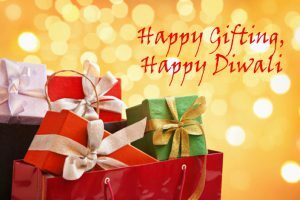 The preparation of the Diwali begins in advance start with cleaning and decking up the house, buying gifts for loved ones to making delicious sweets. On Diwali, people light up their homes and workspaces with earthen pots, make beautiful Rangoli to welcome Goddess Lakshmi and commemorate the return of Lord Ram to Ayodhya. Our today lives are a messy affair, we hardly get time to come together and spend time with our extended family. The festival of lights gives us a fantastic opportunity to sit and catch up some hours of fun and laughter with family. Naturally, we get this of cherishing in once a year. So, don’t you think you should make it memorable with gifting something beautiful to relatives & family members which reminds them of you even when you are not there? Well, special moments demand delicious sweets and a box of chocolates but if you want to give something extraordinary, so gift something handcrafted to loved ones. With virtually, no limit to choice in gifts, you may be tempted and end up with selecting the most convenient gift that is sweets and chocolates. However, a gift to the family from the heart will always be cherished; even it’s just a box of cookies. “A thoughtful gift to one that is meaningful and shows you care about the relationship”. Handcrafted items have their unique charm and impression. Also, they show that you personally take out the time to create a beautiful masterpiece for friends & family. It also represents your love and helps you to preserve the environment, at the same time. Depending on the relationship or situation, your handcrafted gifts may be for an entire family or a specific person. Selecting thoughtful handmade gifts for the whole of the family may sound tough because you have to consider the likes/dislikes of every person, and the best way to deal with it, is to present something which is useful and looks elegant as well. And then comes Handicraft items which are glorious and loved by all as they enhance the beauty wherever you keep them in the home. So, take out some time and browse online. You will found plenty of beautiful handicraft items for Diwali. 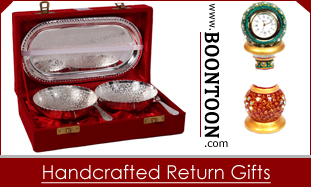 Some of the auspicious handmade gifts for Diwali are Lakshmi Ganesh Idols, Puja Thali, Silver Coins and Dry fruit Box. Make sure to bring the box of sweets and crackers along with stunning handicraft Items. in fact obtain useful data regarding my study and knowledge.